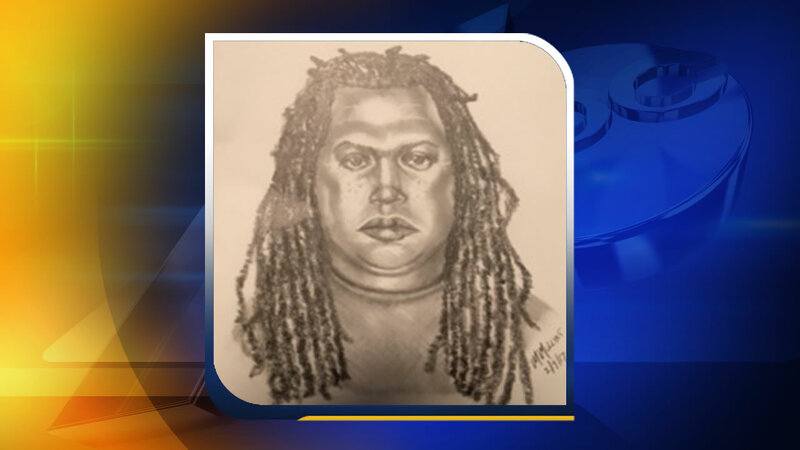 RALEIGH, North Carolina (WTVD) -- The Raleigh Police Department has released a composite sketch of the man who shot another driver during a road rage incident at the end of January. Just after 3 a.m. January 29, 41-year-old John Anthony Crusoe was headed east on I-440 when he merged at the Capital Boulevard ramp in front of a Dodge Ram with faded black paint and a red or orange pin stripe. The pickup driver followed Crusoe north on Capital Boulevard. Both vehicles stopped for a red light at Capital and Trawick Road and words were exchanged. The pickup driver pulled out a gun and fired into Crusoe's vehicle, hitting him in the leg. The suspect is described as a clean-shaven black male in the 30s to 40s who has long dreadlocks and a "chubby" face.